Buy Pink Pearls Directly from the Pearl Farms and $ave! Pink pearls are known to create that gentle, sweet look on any woman. They are natural and come out of the oysters with a subtle pink color in various shades. From baby pink to hot pink, we have every shade of pink! 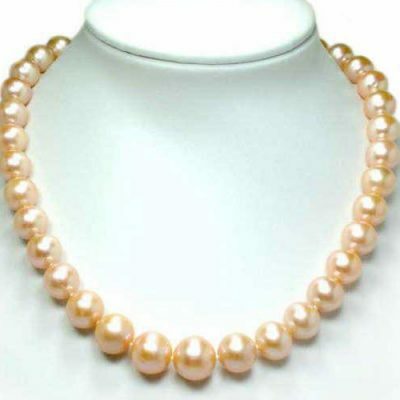 Our individual pink pearl or loose pearls on temporary strands start from $3.49 per strand. Our best selling pink pearl jewelry set of 3 in 925 sterling silver at only $59.99, including a pink pearl necklace, pearl bracelet, and a pair of pearl earrings. Or you can choose a pink pearl jewelry set for bridesmaids starting at $75.99 for the whole set. Without the Internet, we would never have the opportunity of serving you directly online from our pearl farms. We would be still only available to business vendors and store owners at trade shows and conventions. Type “pink” in the Search Box. 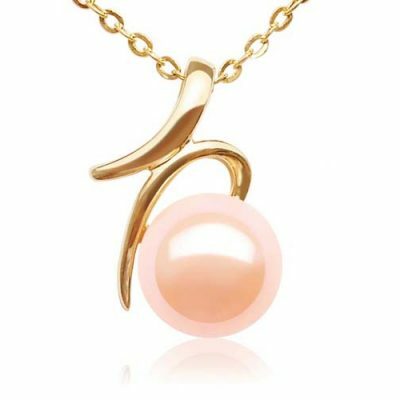 Order any pink pearl jewelry in our store. We have pink pearls available for any kind of pearl jewelry that you see from our store. Even it is not listed there, just indicate it in the comment field when you are check out as a special order, you will be get it within 2 weeks. No additional cost! Pink pearls on temporary strands in any shape? Find them all here. We have any kind pearl in pink color in any shapes: from round pink pearls, pink button pearls, pink rice pearls, pink nugget pearls, pink coin pearls,cross pearl in pink, pink biwa pearl strands,top drilled peanut pink pearls, and in many other sizes. You can have any of these pink pearls to be customized as your own unique pink pearl jewelry. Have you thought what it would be like to wear a beautiful pink pearl necklace that is made from genuine pearls instead of plastic imitations? It gives you the same beautiful and natural look as your friends who spent hundreds or thousands of dollars, but at a fraction of the price they paid for. 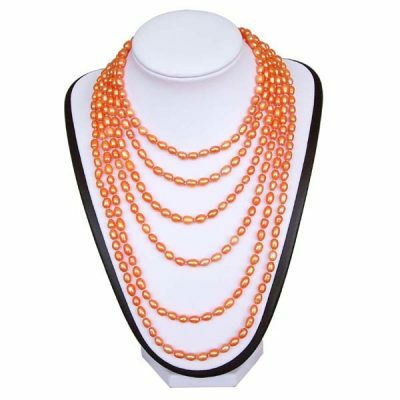 It is not only made from genuine pearls or mother-of-pearls, but also especially for you, because they can be made at your size, length, and specifications. 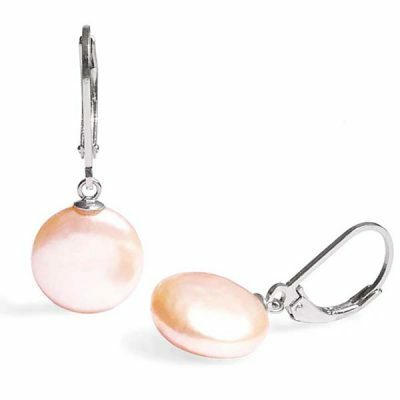 What kind of pink pearls or pink pearl jewelry are you looking for? Why pay retail when you can get it at wholesale? Why wear a fake pearl necklace when you can get a genuine pink pearl necklace for less? Pearl jewelry made of natural pink colored real pearls are a rare commodity that is usually associated with those who can afford expensive jewelry. Now they are affordable to anyone who wants an exquisite and elegant look without breaking the bank! You can order any pearl jewelry in our store, to be made of any shade of pink colored pearls or any other pastel color. Whatever shade you want, we have the pink pearls in the entire pearl farm for your choosing. 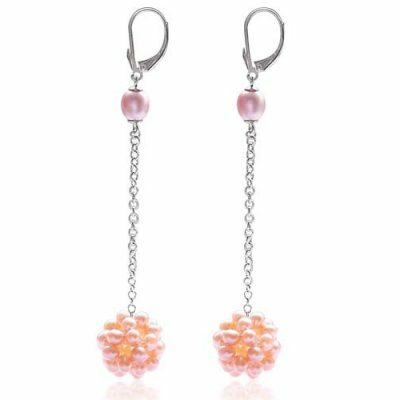 You can order any naturally colored pink pearls and complete it with any one of the pearl clasps from our store for a fine piece of jewelry at the lowest wholesale cost from our store. It will be guaranteed to be a favorite in any jewelry collection. Don`t delay, get your pink pearl jewelry TODAY!